On Thursday, the American Humanist Association launched what they’re calling the Humanist Legal Society. The HLS will be open to lawyers, judges, and law students who agree with its mission. 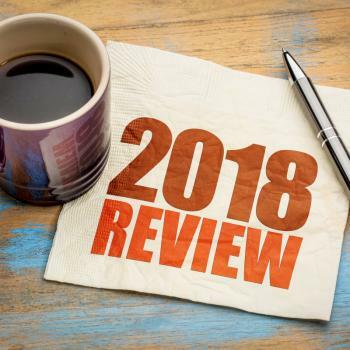 To give you an idea of what these legal minds care about, at the official launch, a panel of attorneys discussed the future of LGBTQ and women’s rights following the retirement of Supreme Court Justice Anthony Kennedy. Before that discussion begins, the HLS’ Executive Director David Niose gave a brief summary of why this group is so important. Who knows? Maybe one day when there’s a more sensible person in the White House looking for advice on which judges to appoint to federal benches, he or she will be able to look for guidance from a group like this one. At least with appointments from the Humanist Legal Society, you wouldn’t have to worry about judges letting the government dictate what a woman can do with her body, or telling business owners that their Christianity gives them the right to discriminate against gay customers. We’re a long way from that ever happening, but this is the first step. It’s a welcome one. Anyone in the legal profession who wants to join can do so right here. 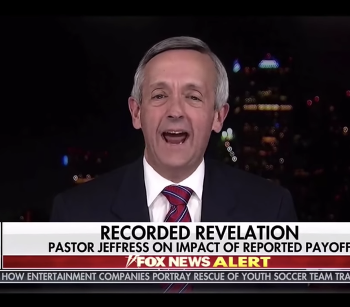 July 21, 2018 Pastor Robert Jeffress: Why Would White Evangelicals Care About Trump's Affairs?